Happiness is a hot pierogi: Neighborfood Tremont Giveaway! When I escape from the confines of Brunstucky, my favorite neighborhood is Tremont. I can frequently be seen in Grumpy’s enjoying blueberry pancakes or the Treehouse enjoying a Guinness or even one of my new favorites - Prosperity Social Club snarfing down some pierogies made by little Polish ladies. 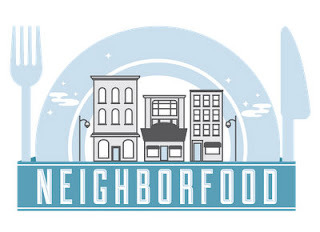 I'm happy to share with you scoopage about the Tremont Neighborfood on Saturday, June 22. For a $40 (or free…keep reading) ticket, you will be invited to dine in 8 participating restaurants within walking distance of one another in Tremont. Food is included and tasty drink specials will be available. HandsOn NEO - The mission of HandsOn Northeast Ohio is to engage Northeast Ohio individuals and organizations in citizen-managed volunteer opportunities that meet community needs, strengthen community involvement, and build capacity of local nonprofit organizations. Use the code "handson" to donate $10 to this organization. MedWish - MedWish International is a not-for-profit organization committed to repurposing medical supplies and equipment discarded by the healthcare industry with the objectives of providing humanitarian aid in developing countries to save lives and reducing waste to save our environment. Use the code "medwish" to donate $10 of the ticket price to MedWish. Merrick House - Merrick House has served Tremont and the surrounding communities for more than 90 years. They provide programs and services to the community in areas such as child care, youth services, adult education and more! Use the code "merrickhouse" to donate $10 to this local organization. Morrison Dance - The mission of MorrisonDance is to inspire and cultivate public awareness of the art of dance through performances and cross-disciplinary collaborations. They recently celebrated their 15 year anniversary at Playhouse Square! Use the code "morrisiondance" to donate $10 to this organization. The Gathering Place - The Gathering Place is a nonprofit, community-based cancer support center designed to fill an unmet need in the greater Cleveland community. The programs and services offered address the social, emotional, physical, and spiritual needs of individuals with cancer and their support network. The mission of The Gathering Place is to support, educate and empower individuals and families touched by cancer through programs and services provided free of charge. Use the code "thegatheringplace" to donate $10 to this organization. Tremont West Development Corporation - Tremont West is a community development Corporation serving the Tremont neighborhood. Use the code "tremontwest" to donate $10 this organization. So kids, here is where the fun starts. Do you want to dine in Tremont for a great cause? 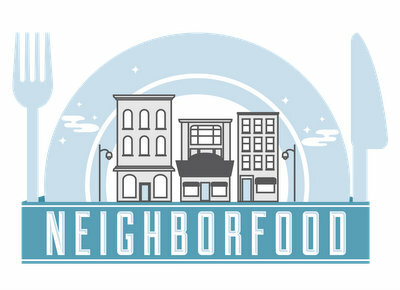 Want to win a a pair of tickets to Neighborfood? There are a couple of ways to enter, so make sure you leave a separate comment for each method of entry. I let a computer do the winner picking so if you don't comment, you lose an entry. 1. Leave a comment telling me which Tremont restaurant you are most looking forward to trying. 2. Tweet the following: "I want to win a pair of tix to Neighborfood from @dishcrawlclv & @clevelandchick! http://bit.ly/13QtMWB #Tremont"
3. Follow Dishcrawl Cleveland on the Twitter. 4. Follow Dishcrawl Cleveland on the Facebook. 5. Leave a comment about what you love most about Tremont. You have until Thursday, May 30 at 11:59 a.m. to enter. You can tweet once per day. Let's face it, if you tweet more than that, people will want to hurt both of us. Disclosure: Dishcrawl Cleveland offered me a pair of tickets and provided me a pair to give away. My words are mine and are fueled today by diet mountain dew and a spinach salad. I love Tremont, but am still in the discovery stage of the neighborhood. It was the best neighborhood to run the Cleveland Rite Aid Marathon thru! Awesome crowd! I'd love to try Southside or Prosperity Social Club. What I love the most about Tremont -- having a neighborhoodly feel so close to downtown CLE. And the food. I follow Dishcrawl on Twitter. I love all the bars and restaurants in Tremont, especially Lucky's! I'd love to try the Treehouse.